You are going to Watch Naruto Shippuden Episode 333 English subbed online free episodes with HQ / high quality. Stream Anime Naruto Shippuden Episode 333 Online English sub The Risks of the Reanimation Jutsu. Madara questioned Tsunade if the Will of Fire is enough to take him down. Tsunade states the three rules of a medical-nin as she releases her seal. She then reveals a fourth rule — that only a medical-nin who has mastered the One Hundred Healings Jutsu are allowed to break the three rules. 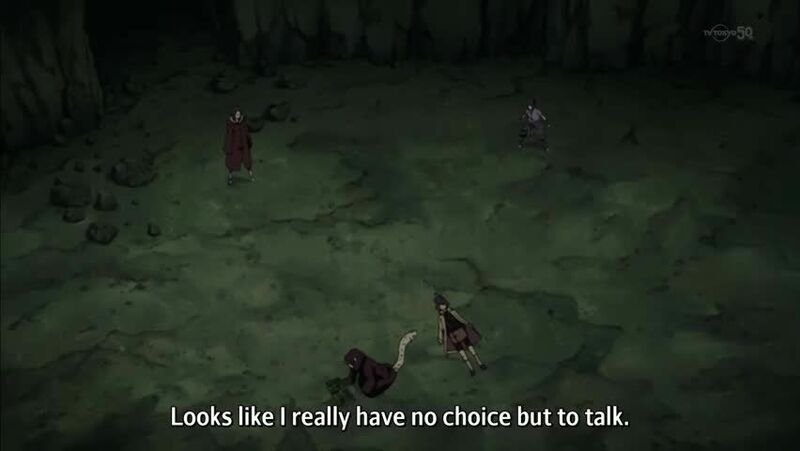 The other Kage are stunned to hear this while Madara remains unimpressed with Tsunade’s abilities. He activates his Susanoo ribcage as Tsunade attacked him, slightly cracking the Susanoo. Madara tries immolating Tsunade but is stopped by Mei, who also attacks. A and Onoki deals a heavy blow on Madara while Tsunade lands a kick on the latter. Madara commented on Tsunade’s abilities. Madara noted that all that remains of Hashirama is his cells inside of him and all that’s left of Izuna was his eyes that belong to him now. 5 / 5 - 29 ratings.